Our long-term supporter, Burnbrae Farms invites you to join them in supporting Parkinson SuperWalk this year as part of our Eggstaordinary Hope contest. It's easy to enter: Fill out the entry form and answer the skill testing question to enter for your chance to win. 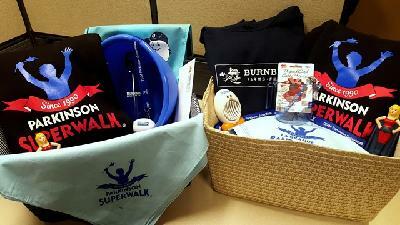 Plus, view the post announcing Burnbrae's Support of Parkinson SuperWalk on either of our Facebook pages (Parkinson SuperWalk | Burnbrae Farms) and comment on the post for an additional entry into our draw for a $250 Burnbrae Farms & Parkinson SuperWalk Gift Basket as pictured.  Read to the bottom of the page for details on a new way Burnbrae Farms is supporting our participants. Congratulations to Jim Zhang of Calgary, Alberta. 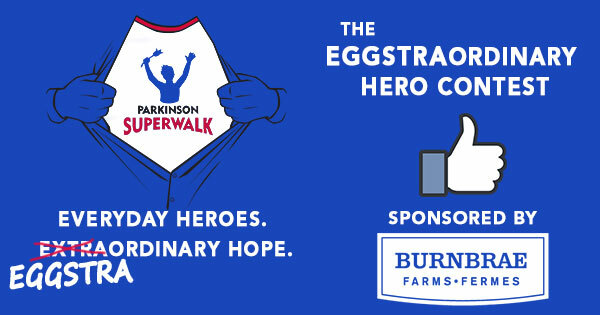 Burnbrae Farms really wants to help you get off to an Eggstraordinary start on your Parkinson SuperWalk campaign this year. To help you kick-start their campaign, Burnbrae has offered to donate $25 per person, up to a maximum of $5,000. As a steadfast supporter of Parkinson SuperWalk, Burnbrae Farms wants all of our fundraisers to be successful... and what better way to get you started than to provide your first gift! NO PURCHASE NECESSARY. This contest is sponsored by Burnbrae Farms Limited and Parkinson’s Canada. There is one (1) Gift Basket to be awarded. Prize package consists of one (1) Burnbrae Farms and Parkinson SuperWalk Gift Basket, approximate retail value is $250.00. Click here for full contest rules. The contest will run from July 18, 2016 until August 1, 2016. A Random Draw will be conducted by the independent contest judging organization in Mississauga, Ontario, at or about 2:00 pm E.T. August 5, 2016 to select the winners. Odds of being selected depend upon the total number of eligible entries received by the Contest Closing Date. Correct answer to skill testing question required to win.